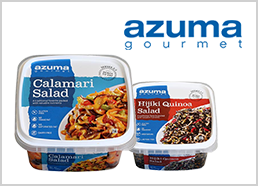 Quality | Azuma Foods International Inc., U.S.A.
Azuma Foods International (AFI) Quality Assurance Department continues to operate under the U.S. Federal Food & Drug Act and (21 CFR) Hazard Analysis Critical Control Point (HACCP) guide lines. Not only FDA, but Department of Commerce NOAA, 3rd Party Costco GMP regulatory, Independent Vendors audits, Various Kosher Rabbinical Consult’s, and our In-House audits all our Quality department and all of its import sources comply with all the procedures for the safe and sanitary importation and distribution of fish and seafood products as outlined by the U.S. Food and Drug. All of our foreign suppliers have issued us their Certificate of Compliance as well. In addition to receiving their Certificate of Compliance, our foreign suppliers are required to supply us with their complete HACCP Plan which has been established and implemented in accordance with the Food and Drug Administration guidelines, and they must have and implement written verification of their procedures for ensuring that the fish and fishery products offered for export to the United States is highest quality. Quality Department also controls AFI’s Allergen program, Gluten Testing, FSVP Program, Micro Laboratory Testing, oversees Sanitation Program, HACCP certification, Employee Training, Orientation, GMP (Good Manufacturing Practices), and soon to be SQF Certification. At AFI, we have a suitably equipped laboratory to perform pathogenic and other microbial and chemical analyses. We take pride in our stringent food safety policies and use utmost care into verifying that none of our products contain any microbes unfit for consumption. Our technicians are fully trained to operate our PCR thermal cyclers, in conducting ELISA testing, and in preparing and analyzing culture method testing, just to name a few examples. Quality Control is the maintenance of quality at a level that satisfies the customer and economical to the producer or seller. Quality Assurance helps identify and prevent weaknesses and mistakes in the manufacture of products. Quality Management can include establishing of quality policies and objectives through quality planning, quality assurance and quality control. AFI Quality Control/Assurance Department is committed to producing safe, quality products that conform to all regulatory and customer requirements. AFI’s Quality Department is controlled by designated trained personnel who clearly know what the customer wants. Our Quality Assurance system identify weaknesses and mistakes in the manufacture of our products through daily monitoring and verification of pre-requisite programs, critical control points and other food safety controls . Our QA personnel test procedures and verify the accuracy of data gathered. Our QC personnel perform tests and verify by evidence or experiments. They are responsible for controlling the quality of the work performed. The methods, responsibilities and criteria for verifying the effectiveness of monitoring our food safety controls are well documented and implemented. There are customer complaints because at times quality has fallen. Fewer profits can also happen if we do not comply with local or national regulations. A firm may aim for no complaints, a situation that will demand for a high level of QC. We, in the quality Department will work to achieve this goal: QUALITY FOOD, LESS NON-CONFORMITIES, ON-TIME DELIVERY AND REDUCED OVERALL COSTS.